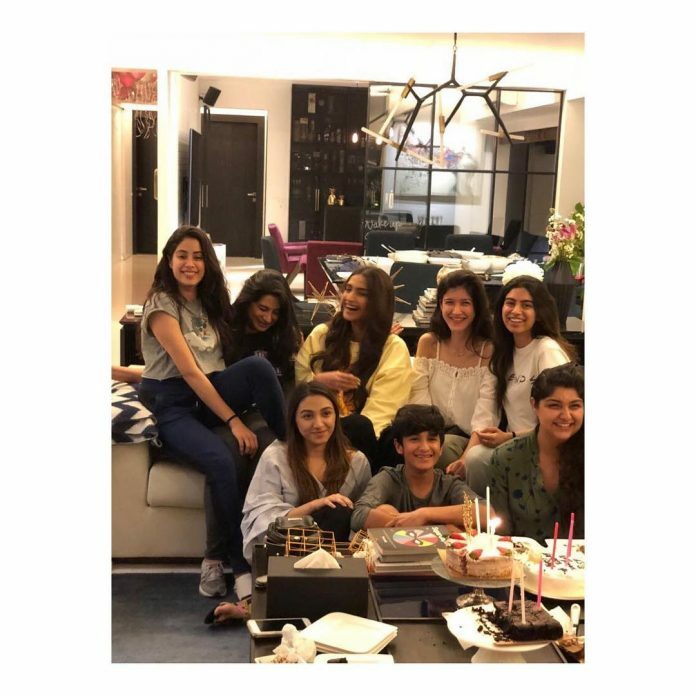 While Boney Kapoor and daughters Janhvi Kapoor and Khushi Kapoor are still coping with the loss of Sridevi, elder daughter Janhvi had a quite birthday celebration amidst family and friends in Mumbai on March 6, 2018. As Janhvi Kapoor turned 21 on March 7, 2018, cousins Sonam Kapoor, Anshula Kapoor, Jahaan Kapoor, Rhea Kapoor and others turned up at Boney Kapoor’s residence for a small celebration. Cousin Sonam Kapoor shared an adorable video as Janhvi cut her birthday cake and was seen surrounded by family members including father Boney Kapoor. Boney Kapoor’s children from Mona Singh Arjun Kapoor and Anshula Kapoor have been standing by their father through the tough times. Arjun and Anshula have also proved to be a great support for their half sisters Janhvi and Khushi. Moreover, Anshula had stood up for the sisters against a troll on the social media. Arjun Kapoor could not join the celebration as he was shooting in Punjab for his upcoming film Namastey England. The Ishaqbaaz star had stalled the shoot of his upcoming film to be by the side of his father in Dubai before the body was being cleared and handed over to the family. Mother Sridevi, who passed away on February 24, 2018 had a few plans for daughter Janhvi’s 21st birthday but no one had even predicted that something so unfortunate could happen. Despite the loss, Boney Kapoor plans to celebrate daughter’s birthday with the entire family. Moreover father Boney does not want anyone to give any condolences on Janhvi’s birthday as they want it to be a happy day for the young girl, who is all set to make her Bollywood debut with the film Dhadak opposite Ishaan Khatter. Arjun and Anshula are also expected to be a part of the celebration. Janhvi also visited an old age home earlier in the day and cut her birthday cake.